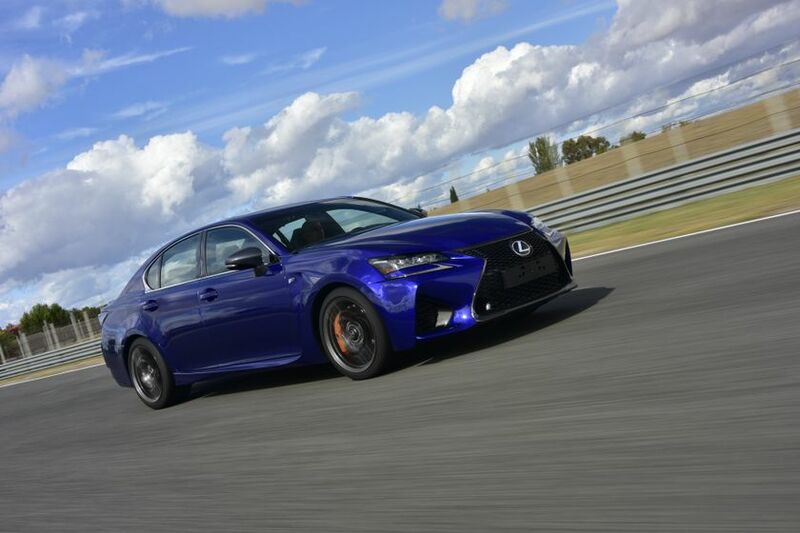 (TORONTO, ON – November 25, 2016) Dramatic style meets asphalt-swallowing power. 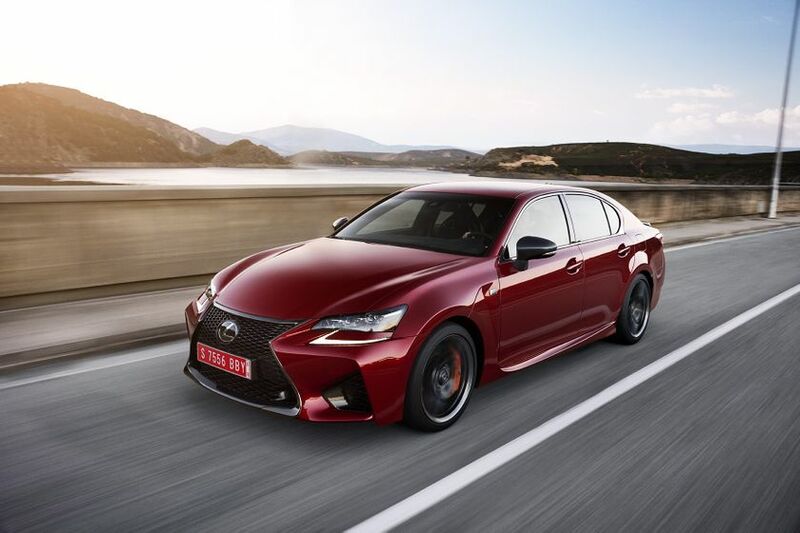 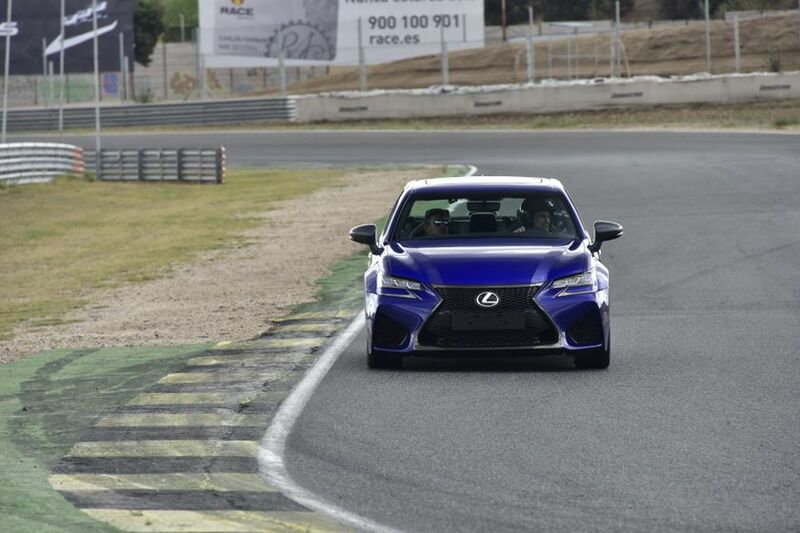 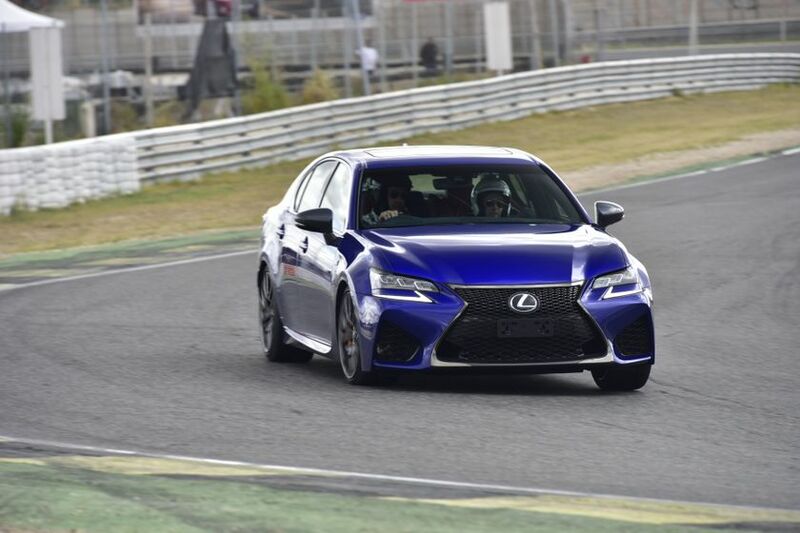 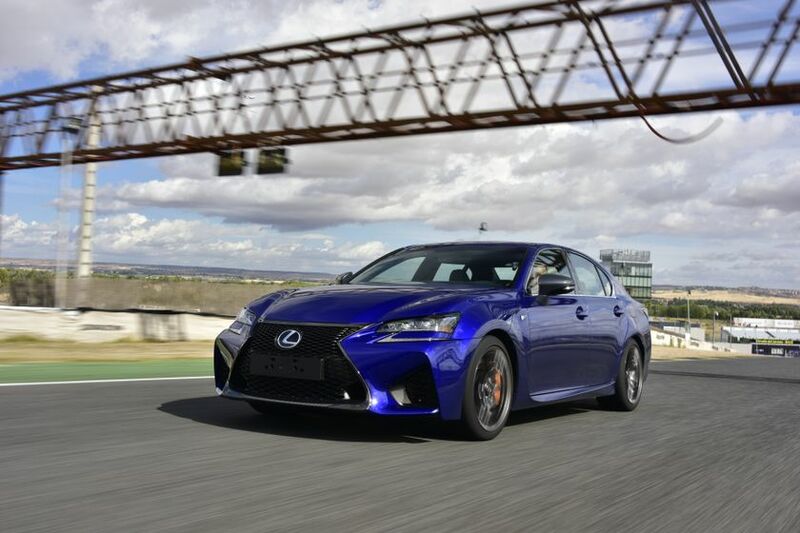 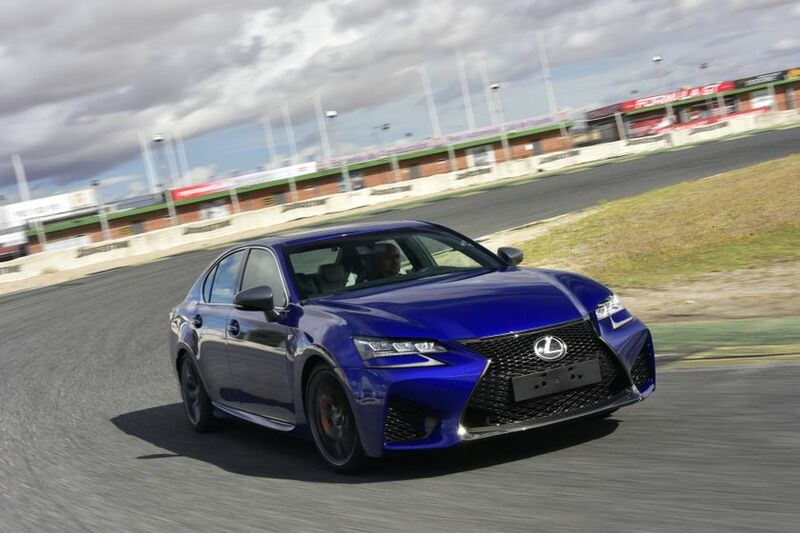 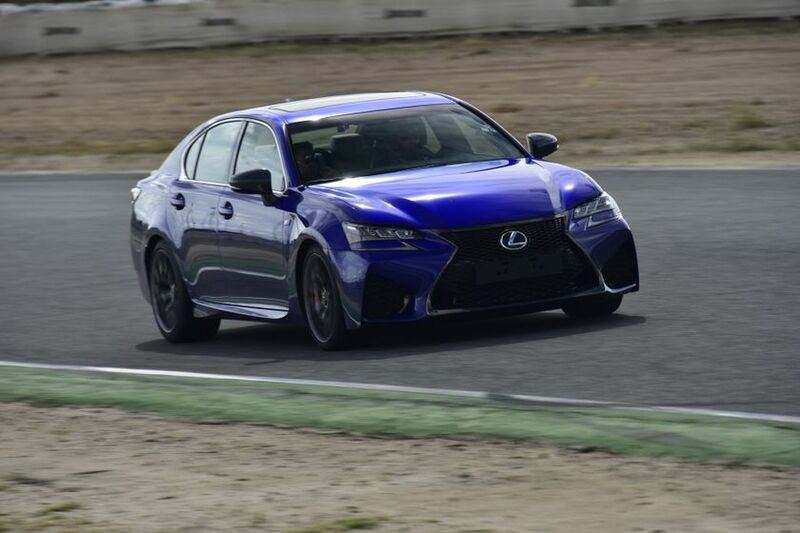 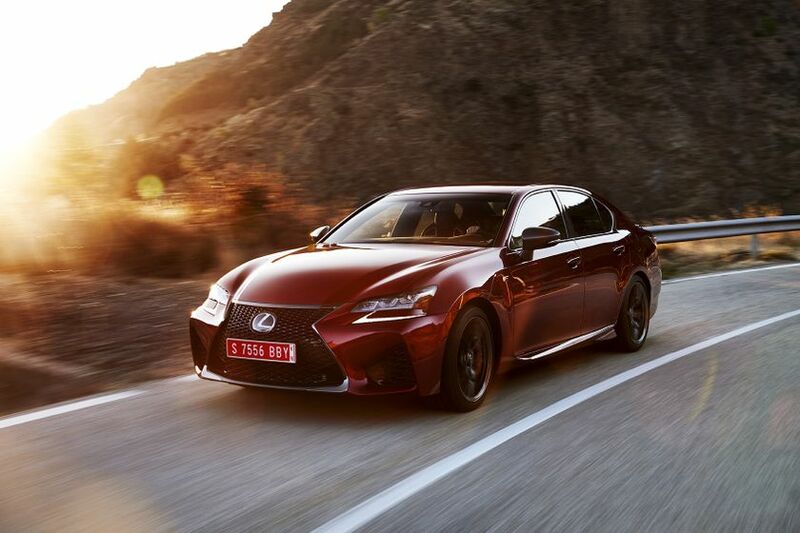 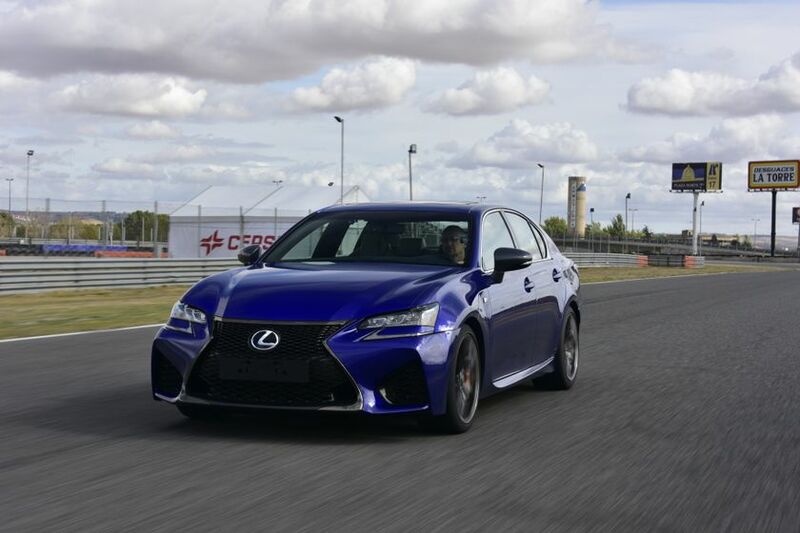 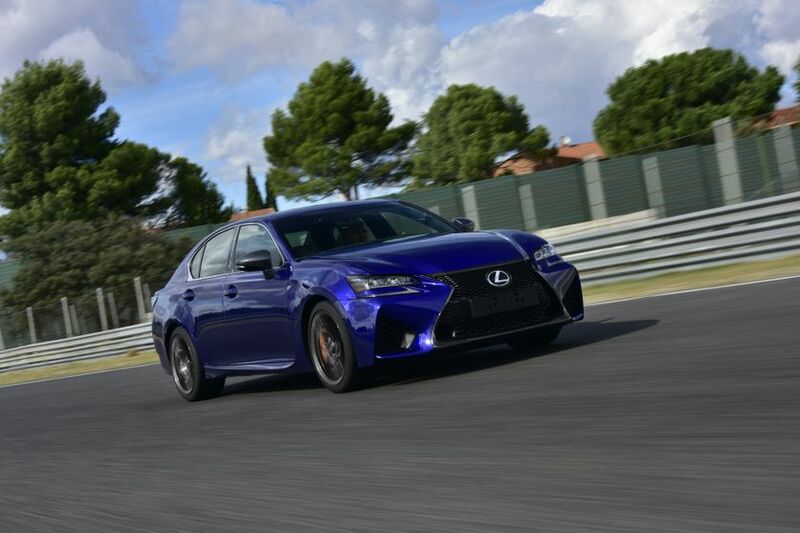 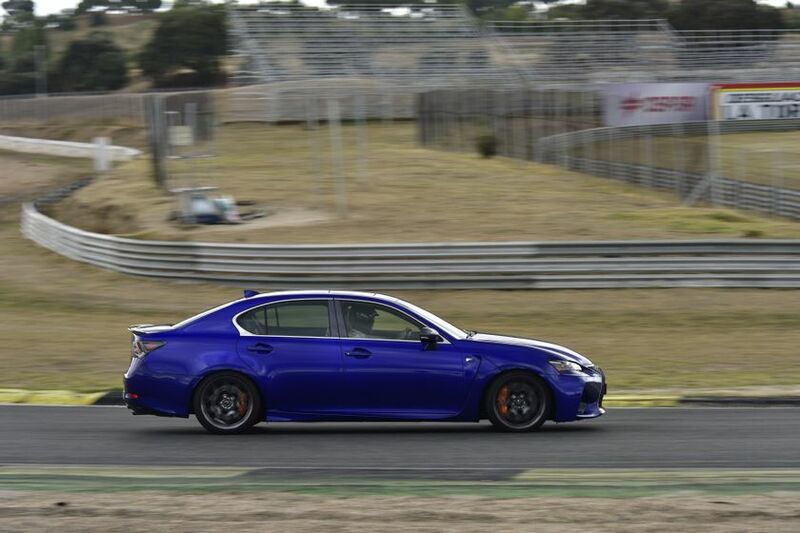 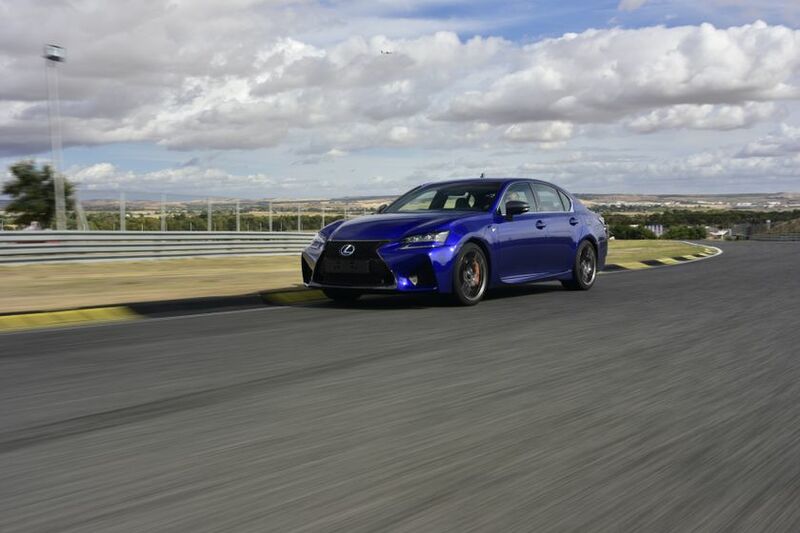 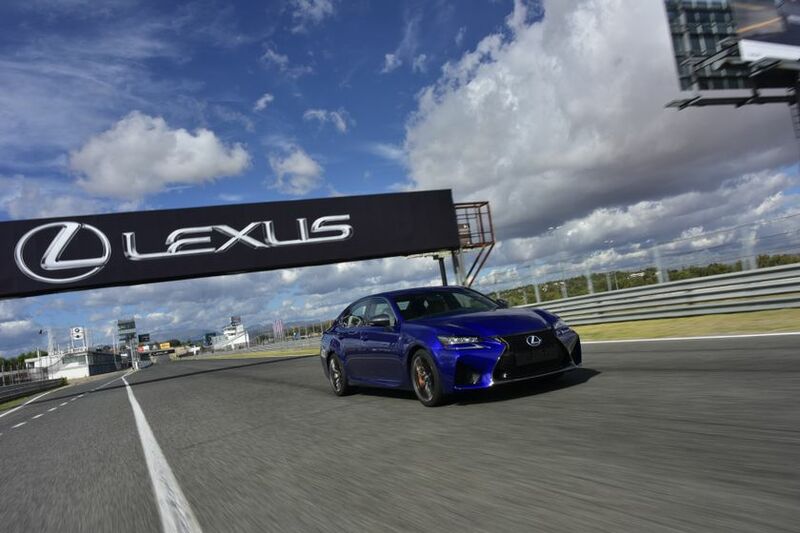 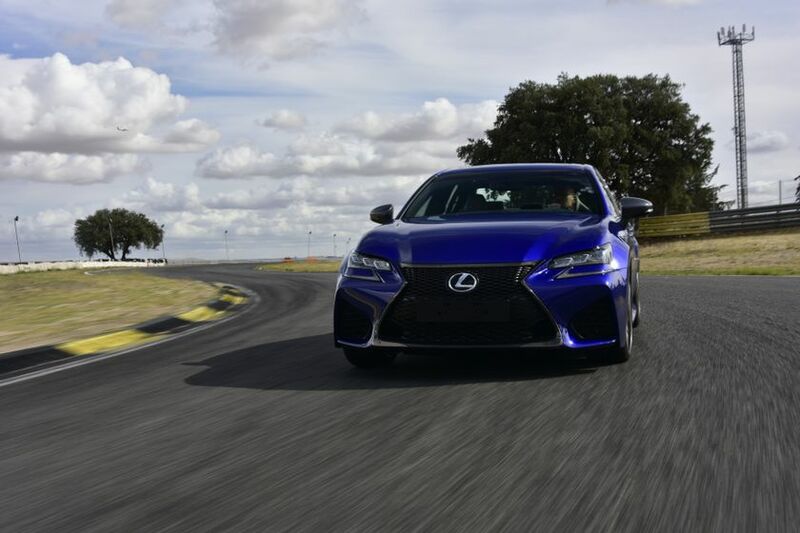 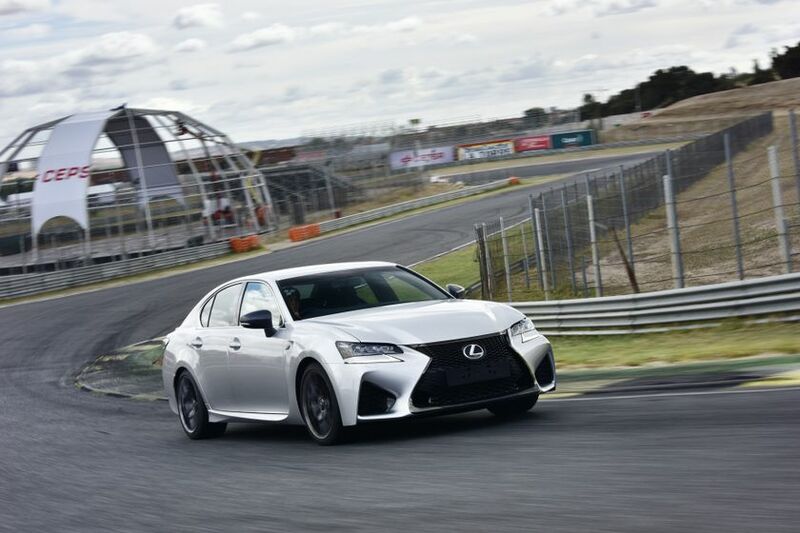 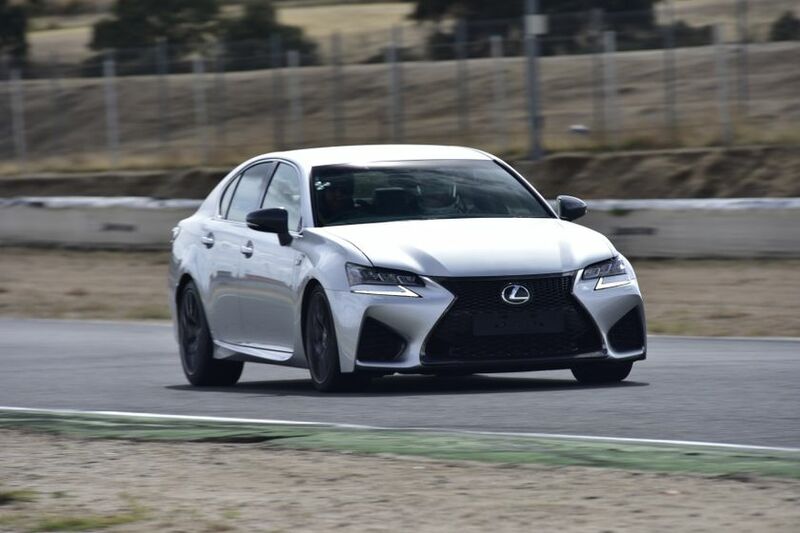 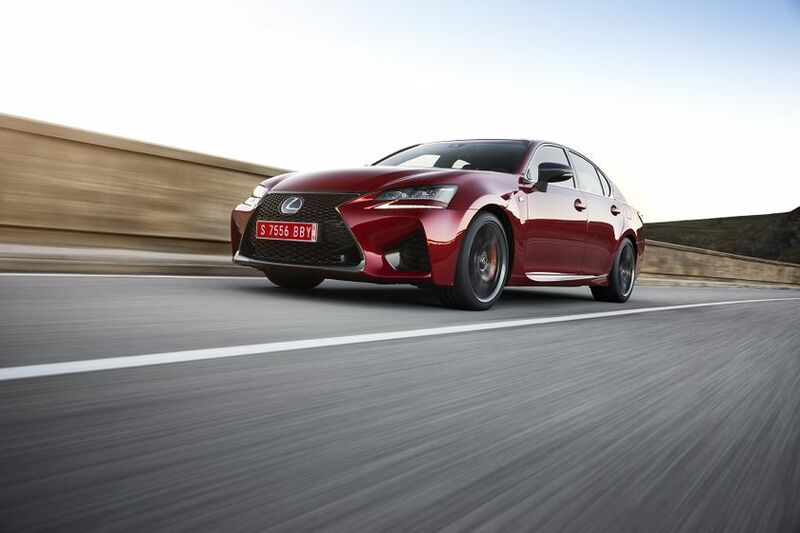 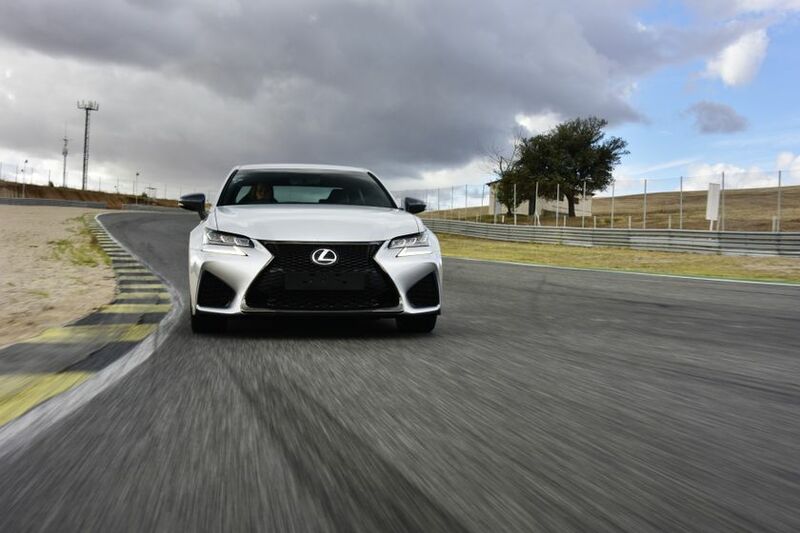 The Lexus GS F is the most menacing, exhilarating GS yet. 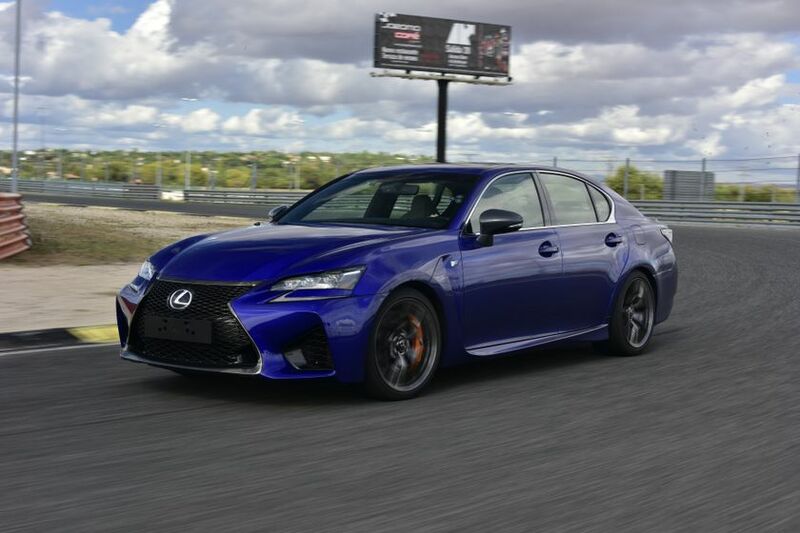 The 2017 Lexus GS F (starting MSRP: $97,100) is offered in one generously equipped model. 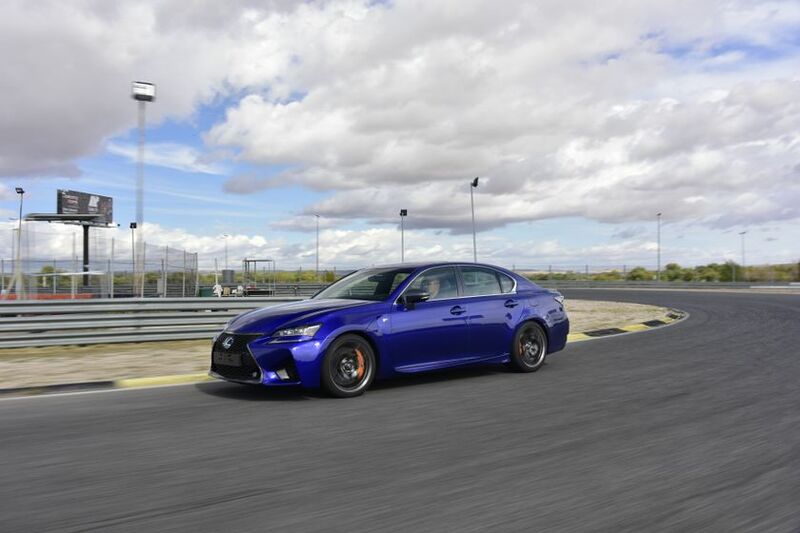 The GS F is instantly recognized as an F series model. 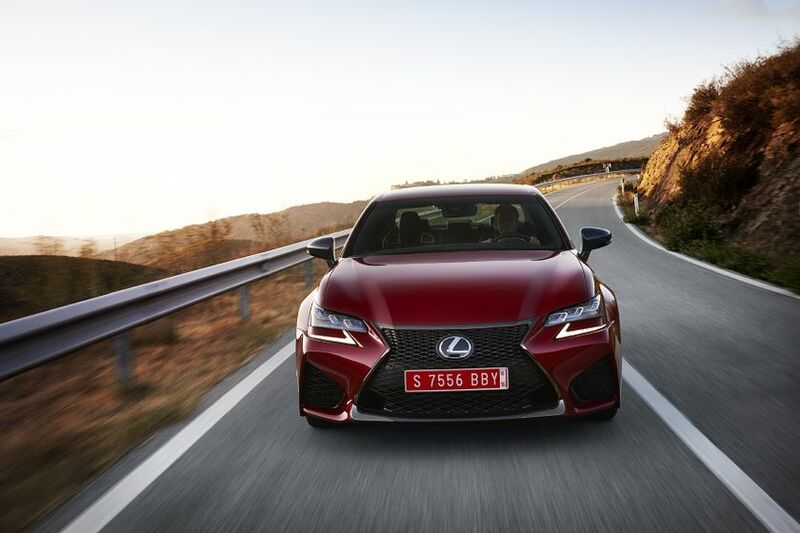 Its enlarged mesh grille and oversized air vents are flanked by LED headlamps and L-shaped daytime running lamps. 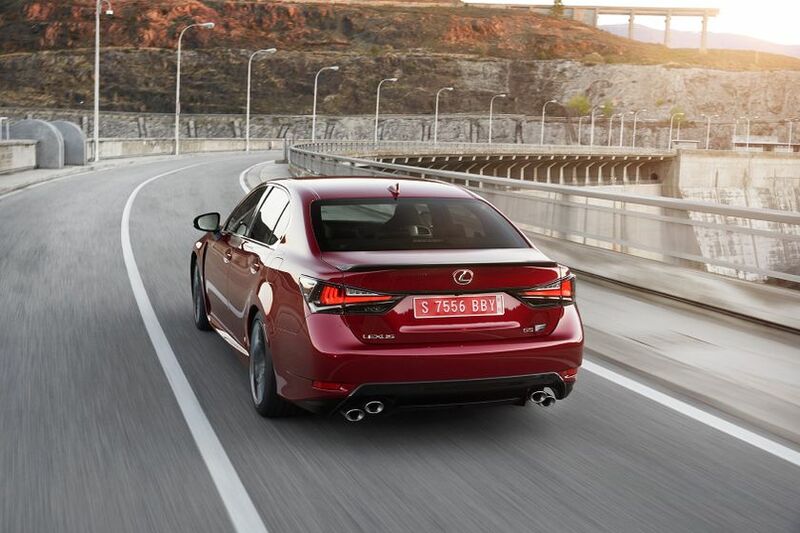 In profile, the GS F sits wide and low on massive 19” aluminum wheels. 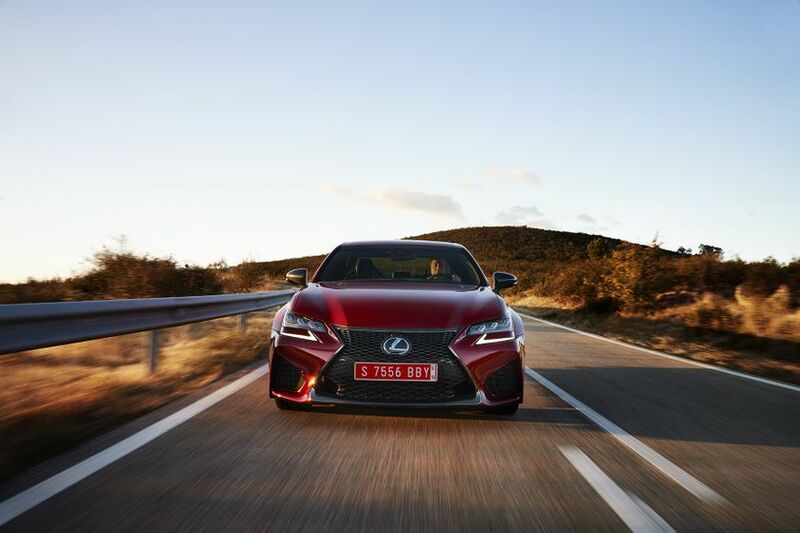 At the rear, stacked quad exhaust diffusers and a carbon fibre spoiler give enhanced cooling and aerodynamics an aggressive, stylish look. 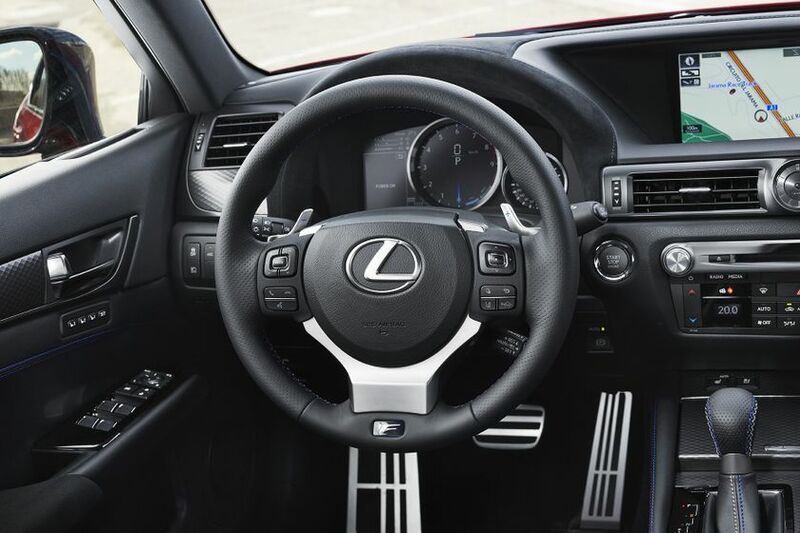 Inside, the GS F’s fighter-cockpit inspiration embodies high performance in every detail. 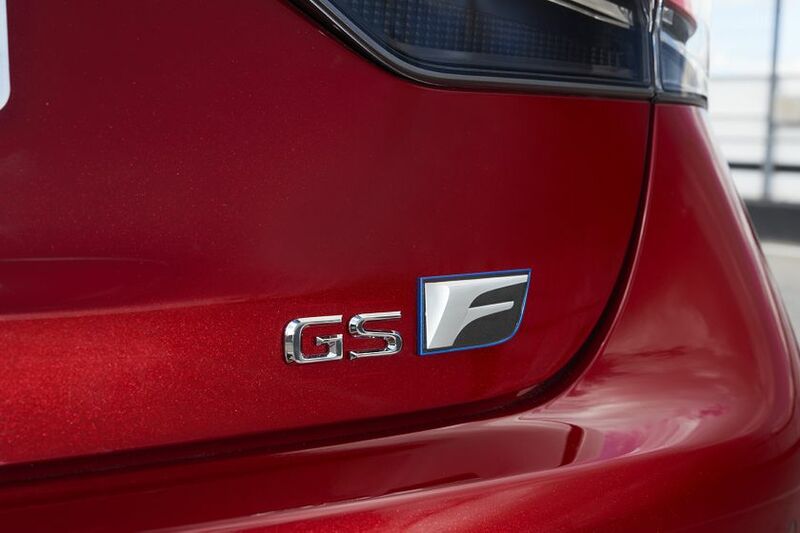 High-back F-branded sport seats give optimum holding performance for high-G maneuvers – fitting like an athlete’s body suit. 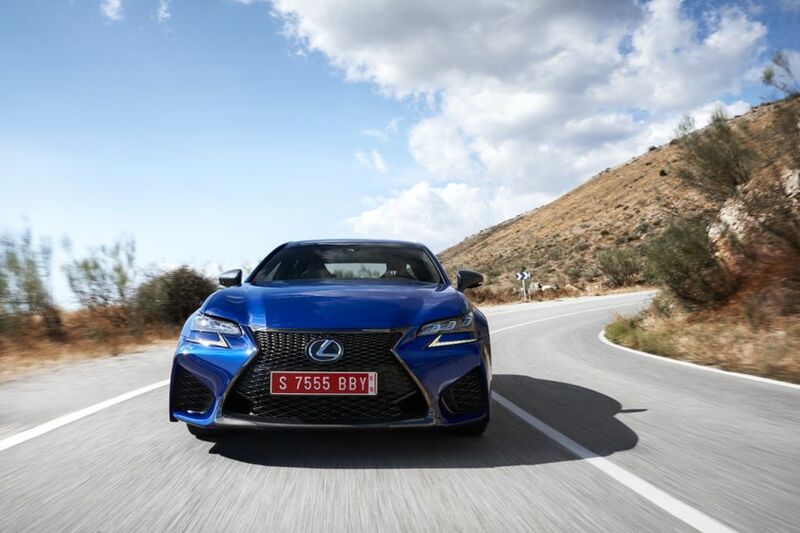 That athletic attitude is reflected in the GS F’s instrumentation – including a multi-information display and Head-Up Display systems. 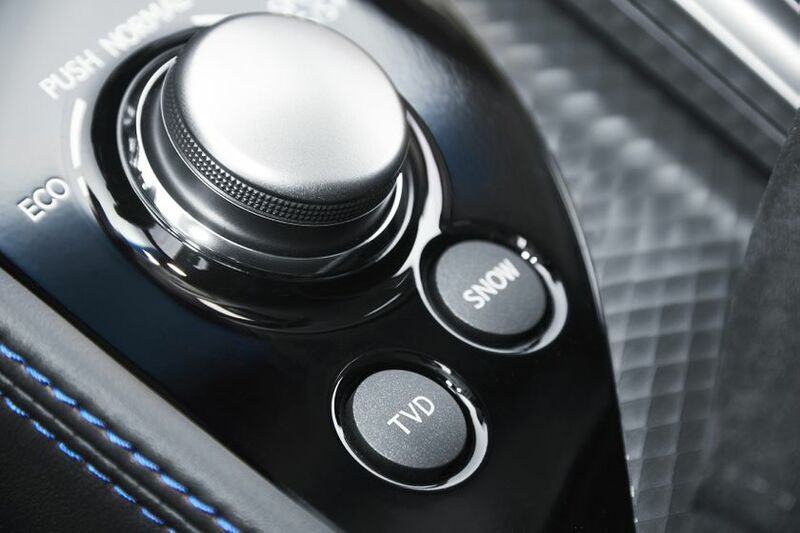 Premium amenities abound, including a three-zone independent climate control system with Climate Concierge, a 12.3” LCD display, heated steering wheel with leather wrap, premium illuminated entry system, LED ambient lighting and map lamps, a power assisted trunk closer, and more. 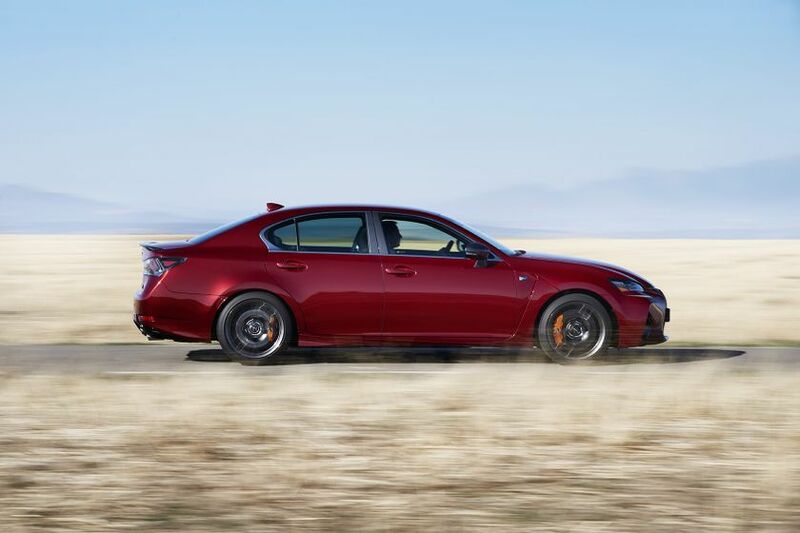 Under the hood, a responsive, naturally aspirated 5.0L V8 delivers a track-ready 467 peak horsepower and up to 389 lb-ft of torque for heart-stirring power. 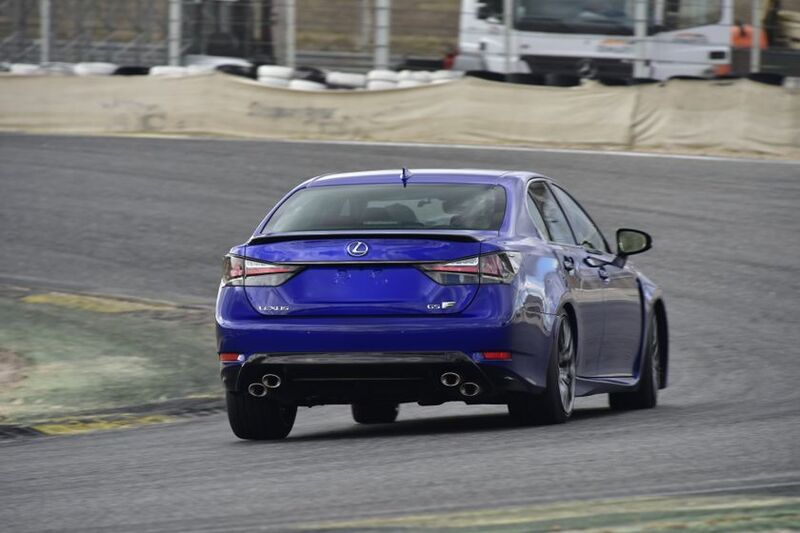 The GS F is the most powerful V8 sport sedan Lexus has produced, offering drivers formidable power and impressive fuel efficiency. 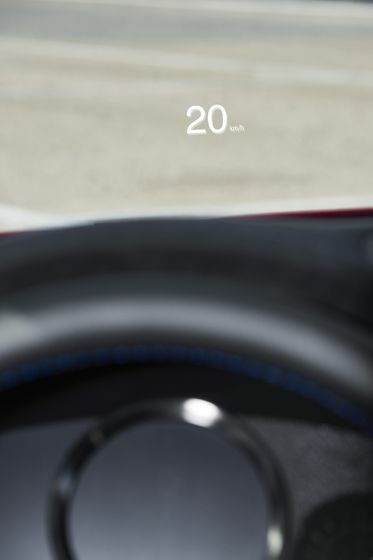 This is coupled to a uniquely tuned Sports Direct Shift eight-speed automatic transmission to send power to the rear wheels. 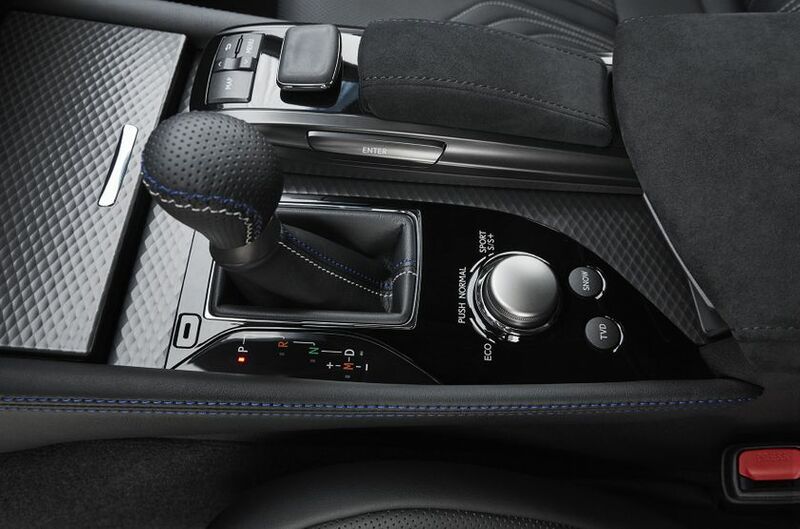 The GS F’s transmission offers manual control through steering wheel-mounted paddle shifters. 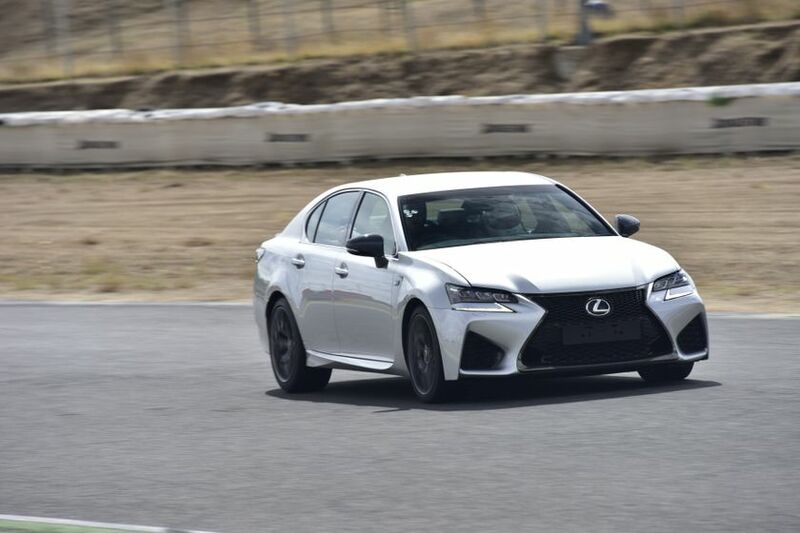 When not in Manual mode, the transmission automatically detects curves and holds the lower gear to give optimal response when accelerating out. 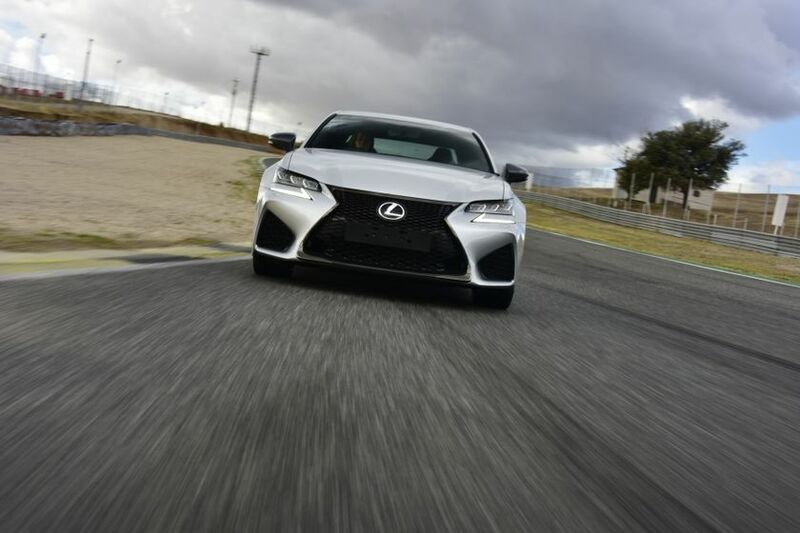 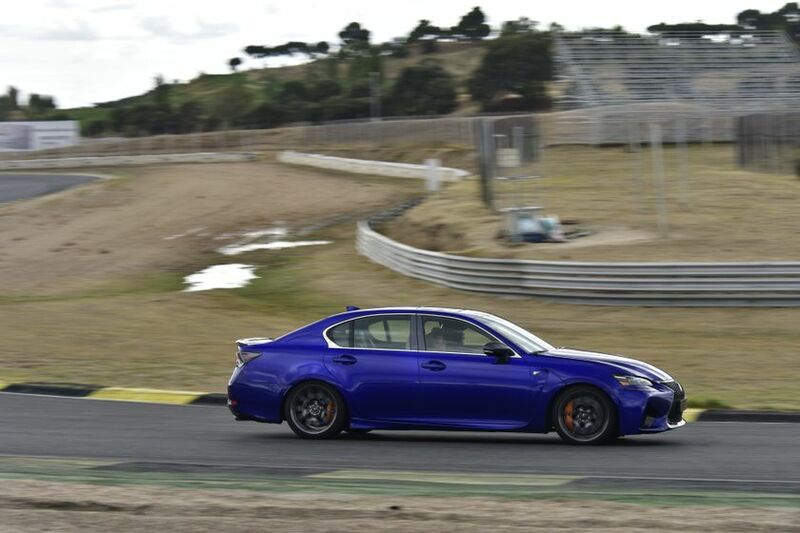 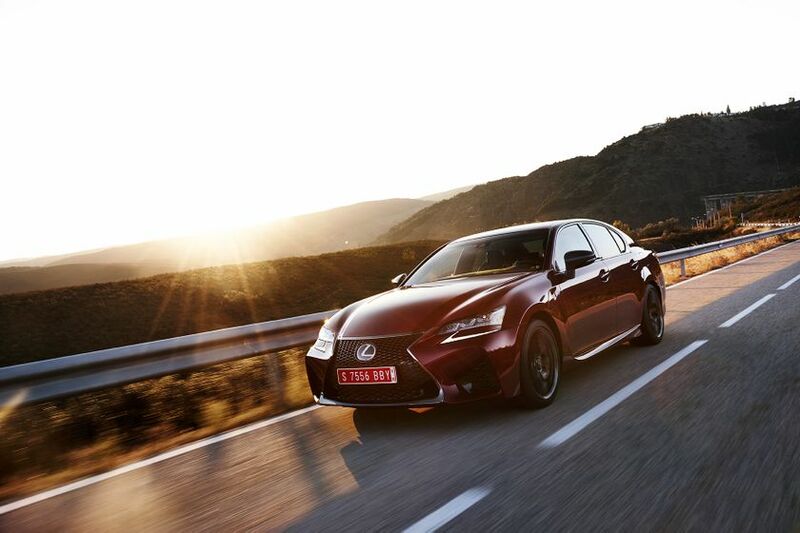 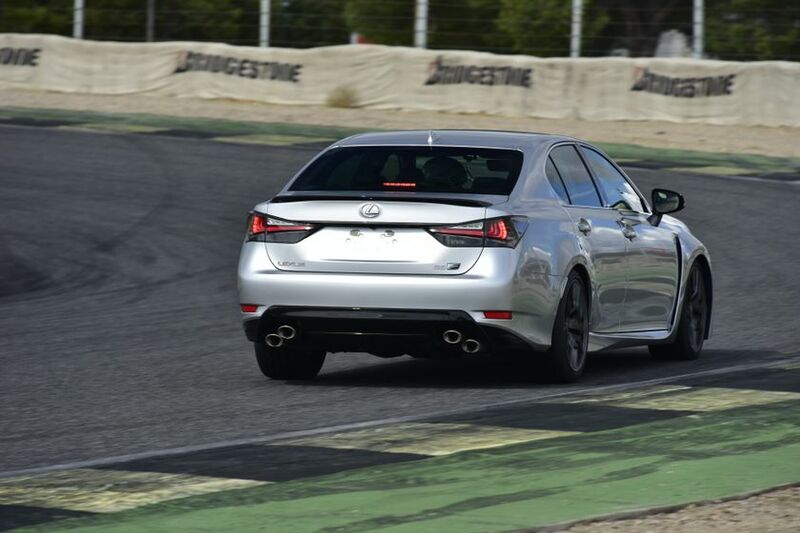 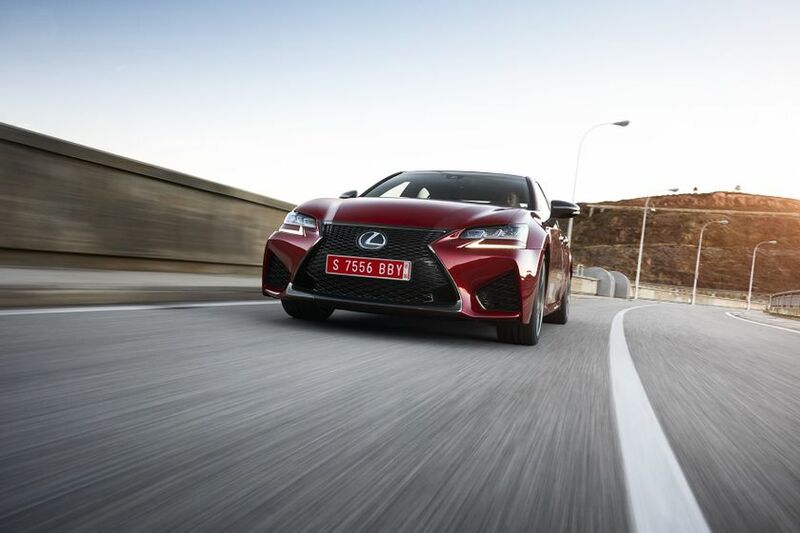 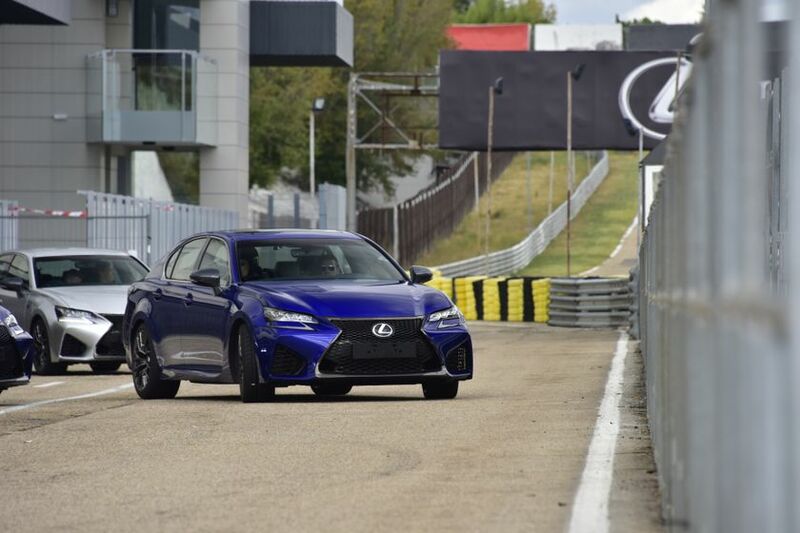 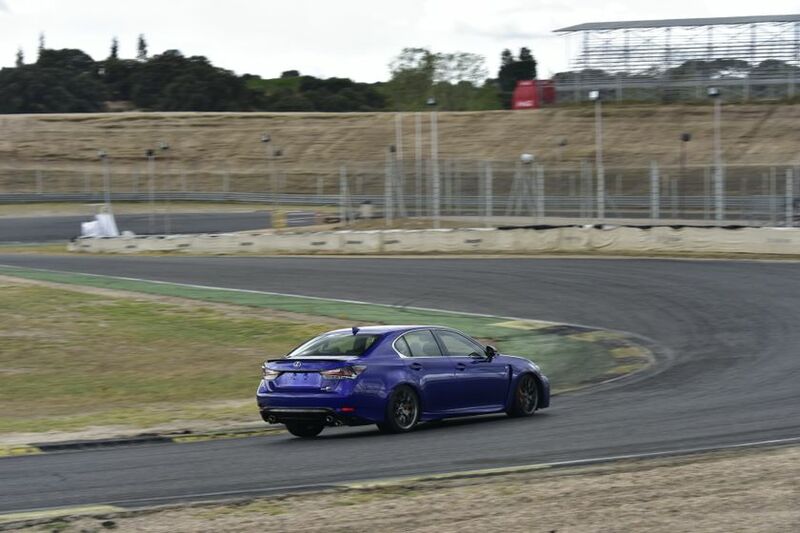 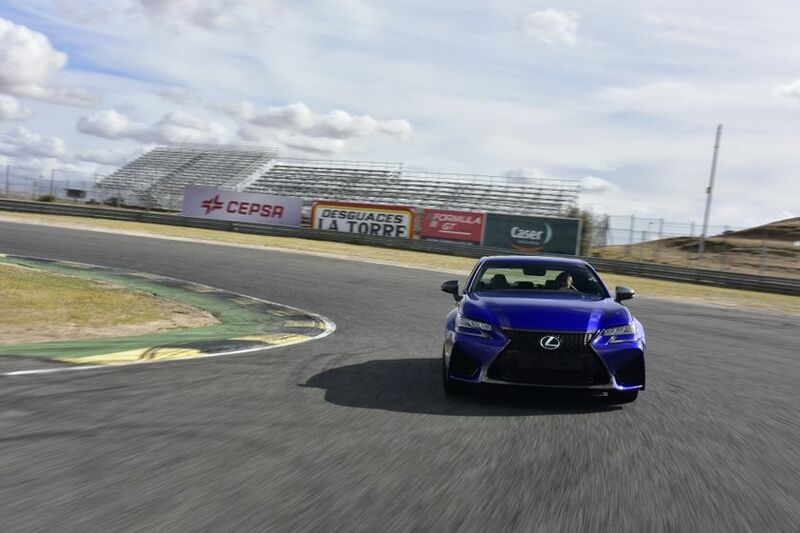 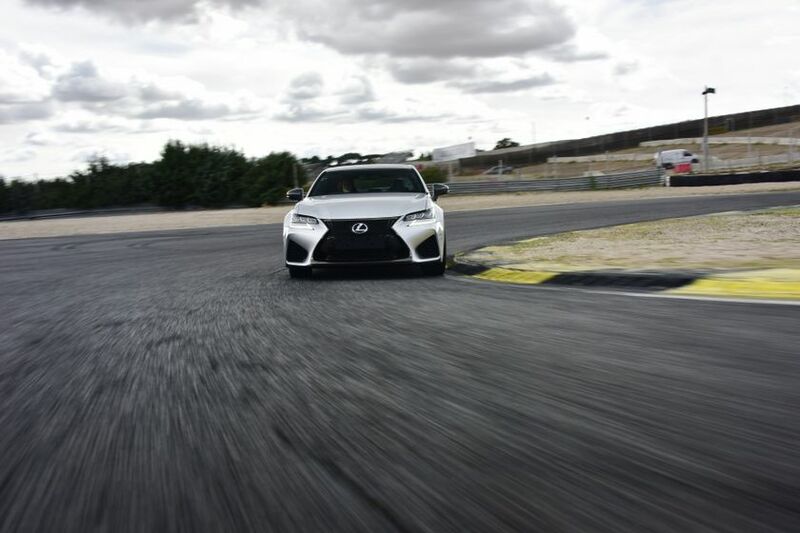 The GS F features outstanding handling. 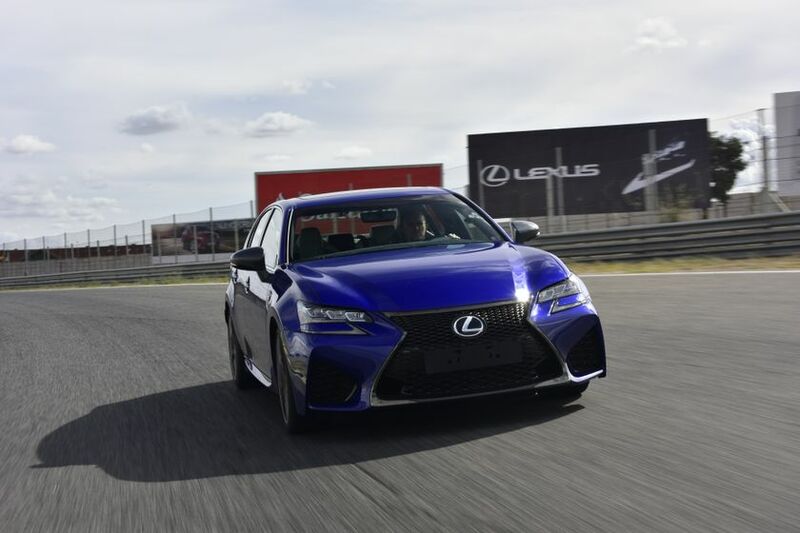 Headlining the list of control technologies is the Torque Vectoring Differential, which lets drivers experience incredible cornering control. 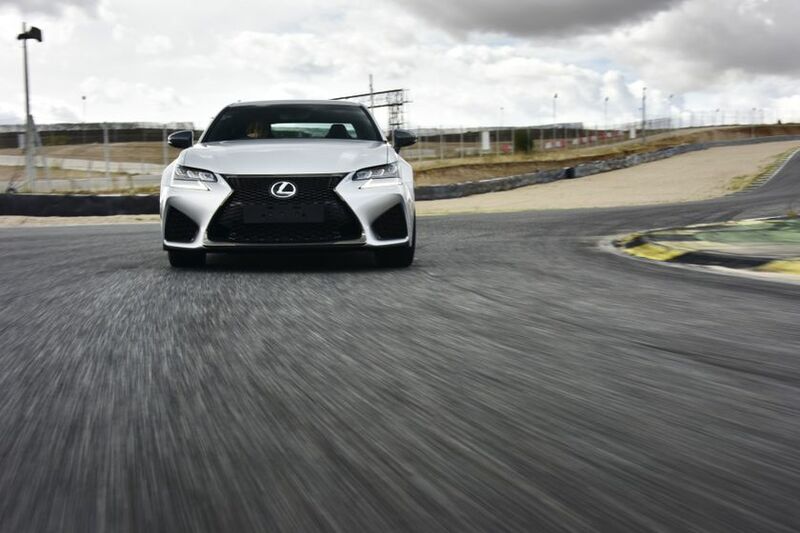 Other handling technologies include Vehicle Dynamics Integrated Management and Traction Control. 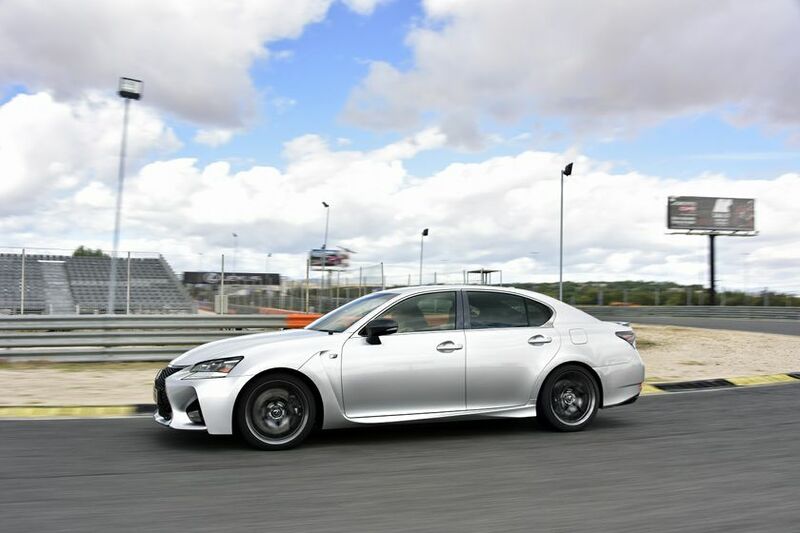 Now featuring a Linear Adaptive Variable Suspension system (AVS), the GS F controls dampening force with more precision. 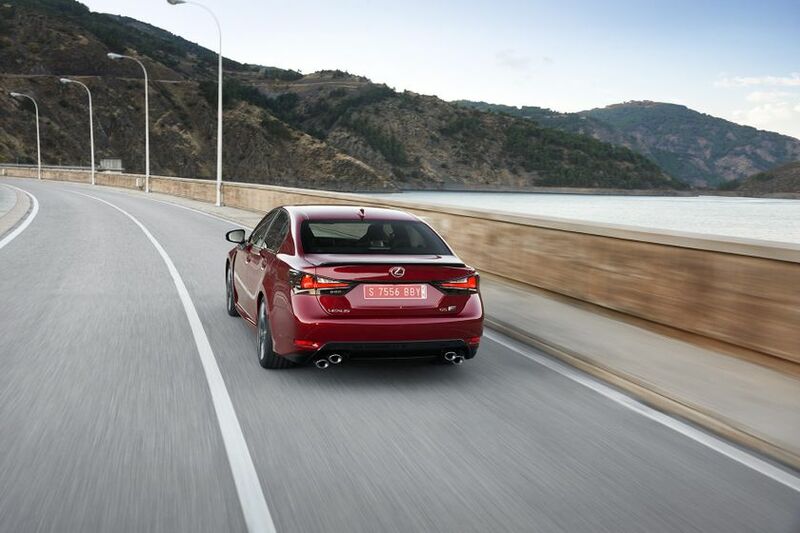 A four-setting drive-mode select system lets drivers tune the GS F to match their mood and road conditions. 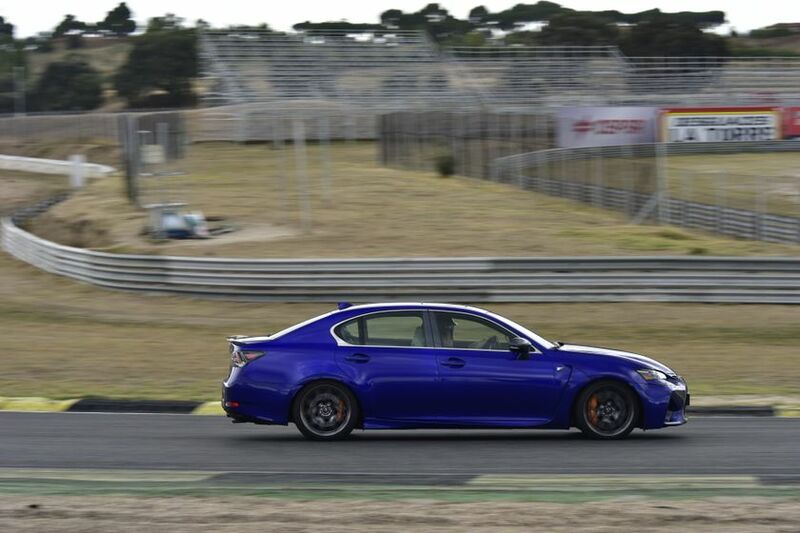 Big Brembo disk brakes deliver plenty of stopping power. 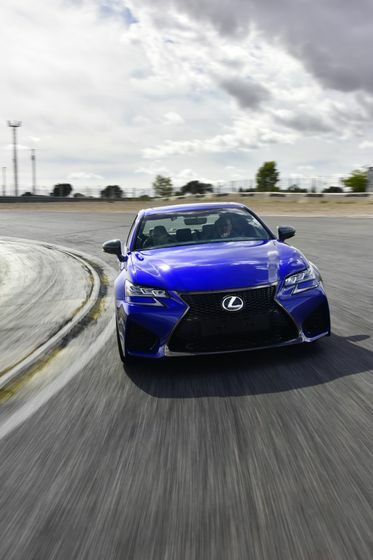 As a Lexus, the GS F also features a long list of advanced yet intuitive technology systems as standard. 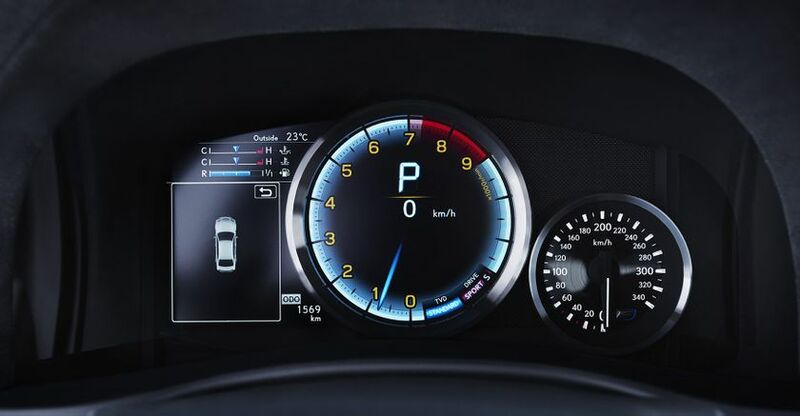 These include intuitive parking assist, the smart key system with push button start, dynamic radar cruise control, and more. 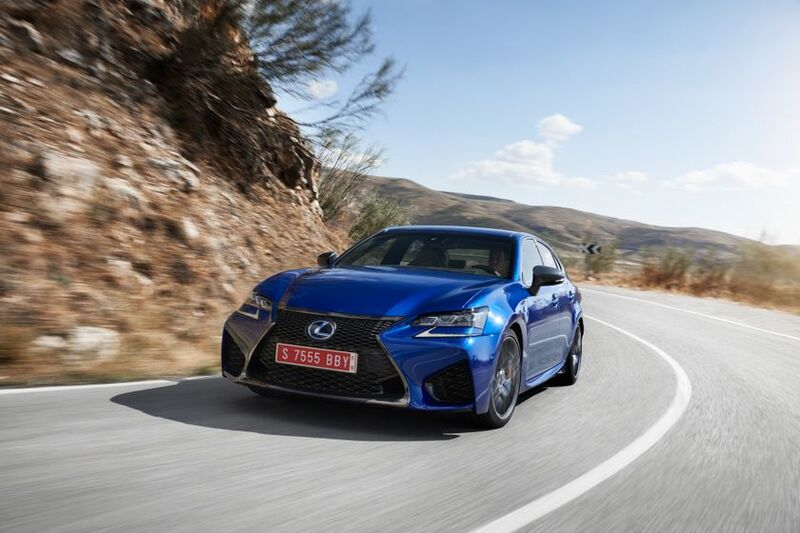 Equally impressive are the GS F’s safety features – from the 10 airbags… to the LED headlamps, tail lamps, daytime running lamps and stop lamps… to the direct tire pressure monitoring system… to the onboard first aid kit… Lexus has everything covered. 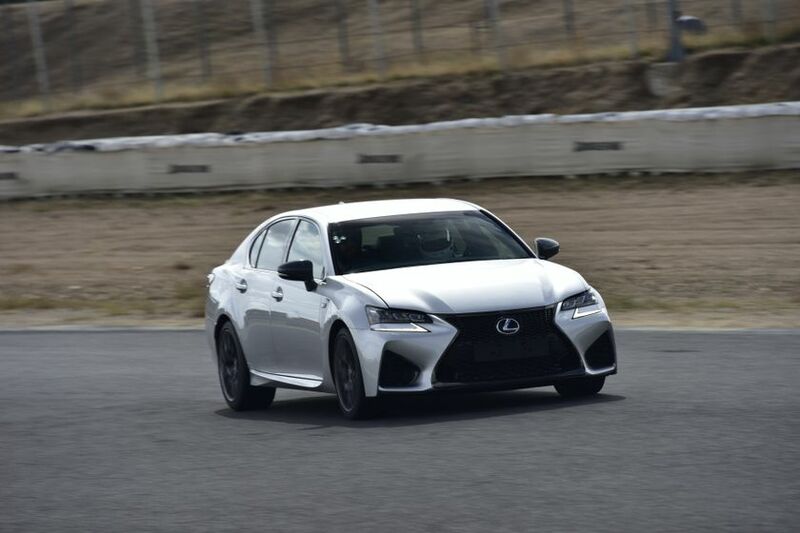 Advanced tech safety systems offered as standard equipment include the Lexus Safety System + – including the Pre-Collision System, Lane Departure Alert with steering assist, Automatic High Beams, and Dynamic Radar Cruise Control, the Blind Spot Monitor System with Rear Cross Traffic Alert, Lane Keeping Assist, a back-up camera, and more.